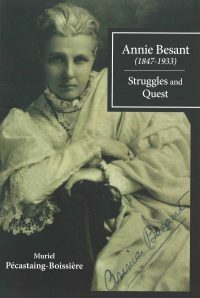 Social and political reformer, women's rights activist, prolific writer and orator extraordinaire, Annie Besant (1847 - 1933) was one of the best-known opinion-formers in late 19th-century- and early 20th century Britain and beyond. As president of the Theosophical Society from 1907 until her death, she made a major contribution to the occult and spiritual revival of the time. In this new biography by Dr. Muriel Pécastaing-Boissière - senior lecturer in British civilization (Victorian Studies) at Sorbonne University, Paris - links are explored between Besant's freethinking socialism, feminism, criticism of the Empire and conversion to Theosophy.